Tom and I have become close friends over the last couple of years. In that time I’ve hung out at his studio on numerous occasions (pretty much once or twice a week at this point). It doesn’t matter how often I visit him, every time I’m there he’s got new work to show me. I really admire his output as well as the quality and variety of his work. It really bothers me that an artist like Tom isn’t selling his work left and right. I’m sure part of the reason he’s not as sought after as I believe he should be is because, although extremely charming, he’s a very humble man who’s not much on marketing himself or his work. I’m not very good at marketing myself either, but I really wanted to help Tom in any way I could to get his name out there. That’s why I worked with Tom over the last few weeks to build him a new website that could adequately represent the diversity of his work. However, even though there’s an impressive array of work on this site, it’s only a fraction of the amount of work that Tom has in storage. He’s an extremely prolific artist that definitely has enough work for multiple solo shows, if not a full on institutional retrospective. I encourage anyone who reads this to please pass on Tom’s website to any gallery you think might be interested in his work. 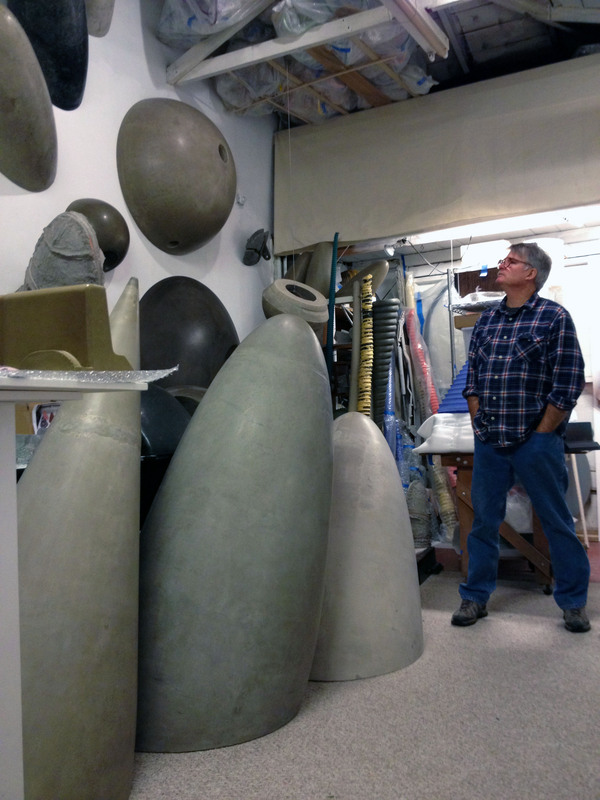 Tom has been making interesting art for over 45 years! He is in the collection of many prominent collectors here in San Diego including the Museum of Contemporary Art San Diego, but I think it’s time he get’s some broader exposure.